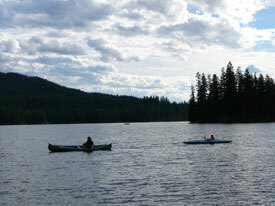 Star Lake Fishing Resort has more to offer than just great trout fishing, cozy cabins, and fine camping. We also offer some great packages, including white water rafting, horseback riding, and a weekly special. 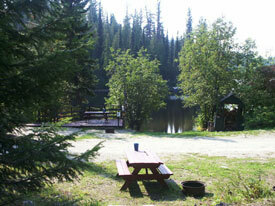 Don't forget we are also only a short drive from the very scenic Wells Gray Park. 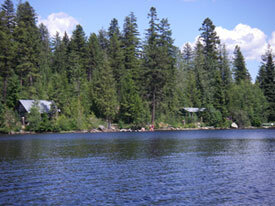 Star Lake Resort is a great spot for family reunions, weddings and corporate retreats. Ask us about our Exclusive Use Package which includes all cabins and campsites and unlimited of boats & motors, canoes and kayaks in a private wilderness setting. All package rates are based on two adults and are in Canadian dollars. Feel free to discuss customizing any or all of these packages. We would be glad to accommodate you. These prices are subject to change. Please leave a detailed message and we will return your call as soon as possible.